Published: Sept. 30, 2014 at 07:08 p.m. Updated: Oct. 1, 2014 at 12:15 a.m.
Minutes after Raiders general manager Reggie McKenzie told reporters that he'll be the one to pick Oakland's next head coach, team owner Mark Davis offered up the organization's first potential candidate. Davis told reporters Tuesday that he wouldn't rule out contacting Jon Gruden about taking over for the fired Dennis Allen. "I don't know," Davis said of Gruden. "He may reach out to me, I may reach out to him -- I may reach out to anybody. I'm not going to talk about future coaches." Davis also suggested that "we may have our coach already here," pointing to interim Tony Sparano's 12-game audition, which begins in Week 6 against the Chargers. Oakland's interest in Gruden -- who coached the Raiders from 1998 to 2001 -- confirms what NFL Media Insider Ian Rapoport noted Monday night, saying that Oakland is looking for a "superstar" coach who can generate wins on the field and in "every single aspect" of the franchise. Davis told reporters Tuesday that he traded voice mails with Allen but has yet to speak with the fired coach, per Steve Corkran of Bay Area News Group. He also said that he never considered firing McKenzie, whose mere presence might cloud the hiring of a one-stop-shop coach looking to pick his own players. NFL Media's Albert Breer has been told that luring Gruden out of ESPN's Monday Night Football booth would require the presence of a franchise quarterback. After swinging and missing on Matt Flynn and Matt Schaub, McKenzie and the Raiders have pinned their hopes on rookie Derek Carr. The first-year starter remains an unproven commodity under center, but Breer has been told that Gruden "really likes" Carr. 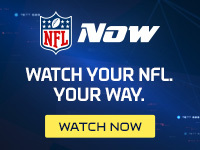 NFL Media columnist Michael Silver told NFL Total Access on Tuesday that an "emotional connection" still exists between Gruden and the Raiders, with sources telling him "that there have been overtures, even before this, to Jon Gruden -- that Mark Davis is prepared to spend a lot of money, because that's what it would take to pry Jon out of the booth and back to Oakland." We still see this reunion as a massive longshot.